This is how cryptograffiti described his latest work, a charity piece that he will be auctioning off online through a live stream in Colombia. The mural, constructed entirely of 1,000 bolivars, is painted over with a portrait of Nicolas Maduro, the autocratic leader of Venezuela whose power has been constitutionally challenged by opposition leader Juan Guaido since January of this year. In the painting, Maduro’s mouth is censored with a blue bar bearing the hashtag #AirdropVenezuela, an ironic nod to the political and economic repressions the Venezuelan people have endured while also applauding their ability to persevere through this hardship. As usual with the crypto artist’s symbolic and subversive work, the auction comes with a twist — a deconstructive one. With each donation, a bolivar from the mural will be torn off by a Venezuelan citizen. Broadcasted from Cúcuta, Colombia, a city bordering Venezuela, the cross-border protest will allow the Venezuelans to vent political frustrations and simultaneously attract donations for aid. “The piece-by-piece dismantling of the bolivars by those choosing to donate crypto is meant to represent a new beginning made possible by a new form of money not controlled by any one authority. 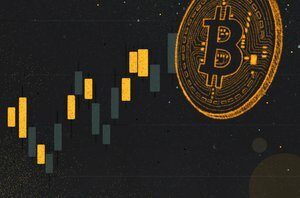 There is also symbolism in how these donations have the ability to come from outside of a region known for heavily regulated currency controls,” cryptograffiti told Bitcoin Magazine. The auction will also accompany a live art session where Venezuelan children will create pieces to be sold at a later date. Since the death of Hugo Chavez in 2013, the policies of Venezuelan president Nicolas Maduro have thrown the country into economic and social turmoil. With an economy ravaged by hyperinflation, rampant poverty and crime have furnished a worsening humanitarian crisis. The crisis reached a bloody impasse on February 21, 2019, as Venezuelan forces opened fire on protesters at the Brazilian border after the government refused to accept humanitarian aid. It’s proven difficult for aid to penetrate the country’s borders. But bitcoin and other cryptocurrencies have become a vestige of monetary hope for Venezuelan expats who want to send money back home, and cryptograffiti’s auction will leverage crypto’s borderless nature to buy aid from within the country. 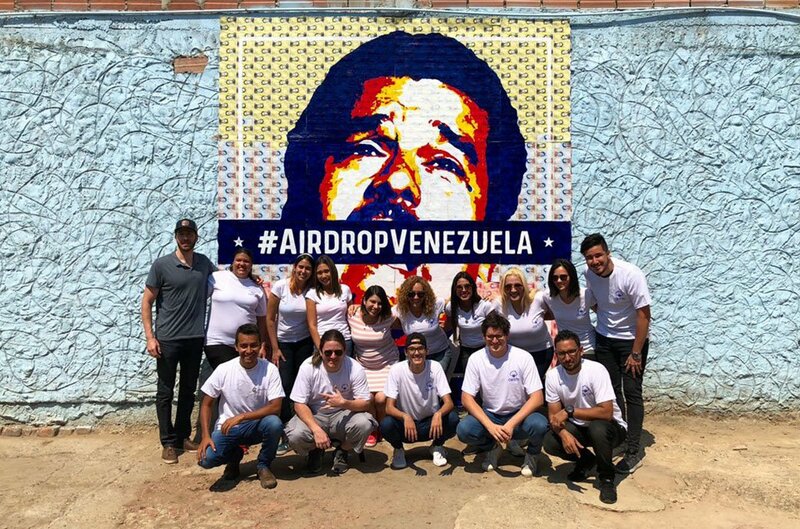 In a partnership with AirTM as part of their #AirdropVenezuela campaign, cryptograffiti is directing all donations, which can come by way of cash deposits on AirTM, bitcoin and a host of altcoins, to the philanthropic campaign. As a wider effort, AirdropVenezuela’s goal is to send $1,000,000 worth of cryptocurrencies to 100,000 families in Venezuela. Even just $10 worth of cryptocurrencies “can help a family purchase food, medicine, and scarce imported goods. Access to digital money can help introduce Venezuelans to cryptocurrencies, online freelancer platforms, ecommerce, investments, donations and other income generating web-based opportunities,” the campaign states. For the art auction in particular, the charity collective has set its fundraising goal at $10,000. Fifty percent of these funds will go to rebuilding the auction venue, the Fundación Renacer, a daycare that provides support for families affected by the financial crisis, while the remaining 50 percent will be distributed with the rest of the funds raised by AirdropVenezuela at the end of April. Crypto education company Cripto Conserje will oversee the reconstruction of the daycare, and during the auction, it will host information sessions on how to access, use and store cryptocurrencies, including teaching attendees how to use coins distributed at the event to purchase food kits from one of the auction’s partners. When bitcoin is used in Venezuela, it is often as a go-between for a foreign currency and the bolivar or some other, stronger one like the dollar. Eduardo Gomez, head of support at Purse.io, for example, told Bitcoin Magazine that when Venezuelan expats send money back home with bitcoin, they will typically sell it through LocalBitcoins to a Venezuelan trader, who will then deposit bolivars into the bank account of the expat’s relative. As the economic situation has only degraded further in 2018-2019, LocalBitcoins has seen rapidly increasing trading volumes in Venezuela. Occasionally, your technically minded Venezuelans will sell the bitcoin themselves for USD (or another foreign currency) and deposit that money into a foreign bank account as savings. Either way, cryptocurrencies typically serve just as an intermediary for value transfer, one that circumvents the tight remittance controls and fee gouging that the Venezuelan government effects with its monopoly over currency conversion and international money transfers. The AirdropVenezuela campaign wants to take the extra step in getting beneficiaries to use crypto instead of relying on Venezuela’s failing fiat currency. The campaign will donate and educate these citizens on crypto’s significance in their situation, as well as alerting them to online economies that may allow them to receive crypto as payment, such as freelancing. This is how Gomez, who has been living on bitcoin since 2012, is pulling his family out of poverty. He began receiving bitcoin for freelance translation work online, and after leaving Venezuela, he trades bitcoin for bolivars on LocalBitcoins to send his family funds. Cryptograffiti hopes his latest work will expose a grim situation which has continued to experience much deserved attention under the international spotlight as of late. But as much as it exposes the severity of the situation, he hopes that the part-performance art, part-visual art will reveal (and convince people of) the solution to these economic woes. “After reciting the tired ‘maybe it doesn't apply as directly to you, but Bitcoin is important in authoritarian regimes’ line one too many times, I wanted to do something to contribute to Venezuela and experience the situation first-hand,” he said. After the auction is over, two pieces — Maduro’s left and right eyes — will be signed by cryptograffiti and one will be sent to the highest bidder based on his or her preference. The other will go to another donor chosen at random. Cryptograffiti’s auction is the latest in artist-led philanthropy efforts. Billionaire business mogul Richard Branson hosted a charity concert in Cúcuta last Friday. Branson hoped the concert would raise awareness and some £100 million for the people of Venezuela, and it attracted an appearance by opposition leader Guaido. In the realm of crypto philanthropy, Bitcoin Venezuela, a charity organization founded by Randy Brito, also exports bitcoin funding for aid inside the country. Subsisting on donations in the ballpark of $100, the organization sends funds into the country to workers on the ground who provide food, clothes, medical supplies and other provisions to struggling Venezuelans. Once the Lightning Torch, a Lightning network payment experiment that has been making global rounds, reaches the network’s channel limit, its creator, hodlonaut, intends to have the final sum donated to the charity.